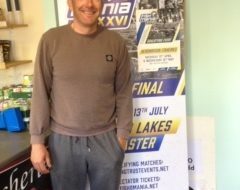 Once again a fairly dramatic change in weather conditions impacted on the Fish ‘O’ Mania qualifier on Wednesday 5th June 2013 held at Woodlands View Fishery, Droitwich. Just for a change this time it went from hot, bright sunshine of previous days to much cooler, cloudy conditions for the match day. As a result the fish were, perhaps, more bunched up in areas than they might have been and this led to some fluctuating returns. This was clearly illustrated when the top five anglers all broke the ‘ton’ on different lakes. Supporting weights on this prolific venue were, as always, impressive, but nevertheless seemed to emphasise the fact that fish were not feeding everywhere. However, in addition to the top five weights a further eight anglers broke 70 lbs and 46 lbs was the lowest weight to win a ten peg section. Top rod on the day was former Fish ‘O’ Mania Champion, Nathan Watson of Louth, who put a tremendous 152 lbs 3 ozs on the scales. This comprised almost all carp to 10 lbs plus around 8 lbs of silver fish. He drew peg 11 on Ghost Pool, which is on the end bank. Nathan caught a number of fish shallow on the long pole with pellet and topped up with some margin lumps on the maggot. 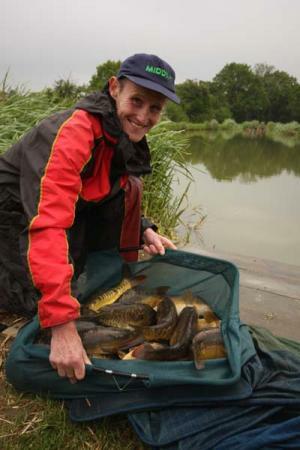 Very close in runner up spot was Craig O’ Brien who weighed 147 lbs 12 ozs from peg 9 on the Hay Pool. Craig had carp to 8 lbs on the feeder fishing tight across with meat. 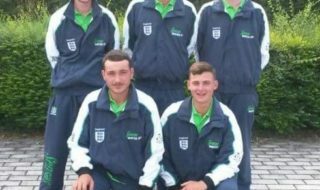 Third was another previous Fish ‘O’ Mania Champion, and England Feeder team International, Steve Ringer. Steve caught carp to 7 lbs on the pellet feeder from Arles 24. Team England regular, Des Shipp, took fourth place from peg 34 on Back Deans. Des caught carp to 8 lbs plus some skimmers on corn over pellets to weigh 118 lbs 4 ozs. Fifth was top Stratford on Avon angler, Simon Fry, who took 107 lbs 3 ozs to the scales from High Pool peg 24. 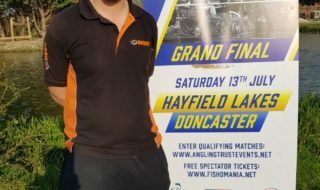 With only two Fish ‘O’ Mania qualifiers remaining for 2013 it will be interesting to see who the next angler will be who qualifiers at Woodlands Lakes Fishery at Thirsk on Saturday 15th June to join the grand final line up in July.